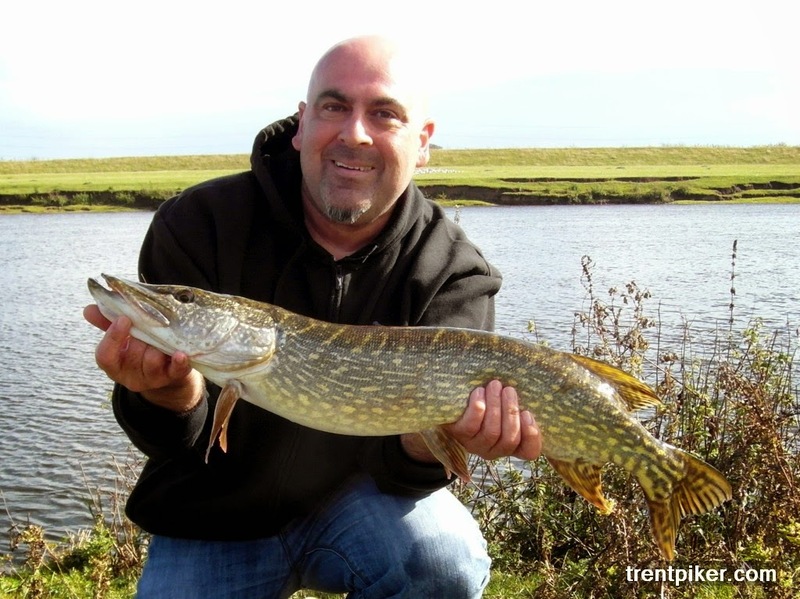 As the weather has started to turn cooler and pikier I was determined to find some free time and get back to lure fishing and to try and catch a few pike again. So I sorted my gear out and finally got my arse down to the river. Not another angler in sight, lovely just how I like it. I started off back in one of my favourite spots which has given me some nice fish over the years and eventually had one bang onto my lure only for it to drop off a couple of seconds later, but it was a start. After a quiet period without any more action I moved along to a different area and finally hit into a fish, a nice looking jack, my first fish in months and a welcome bend in the rod. I had a few casts into a few more pegs without any action before hitting into a better fish which didn't look too big from the flashes I saw of it but she went like a tiger in the flow of the river, hugging the bottom and stripping line from the reel but after a very respectable fight she was finally in the net. Thanks to a passing dog walker who stopped for a chat and took the pic below then back she went into the Trent, lovely. I tried a few more pikey looking areas before calling it a day without any other fish, just a bump bump then gone from a good heavy feeling fish but never mind, will be back next week. Good to your back on the bank again, looking forward to the updates. Cheers Darren, that's a great blog you've got, don't know how I've not seen it before. Cheers Bazz, you been out much lately?